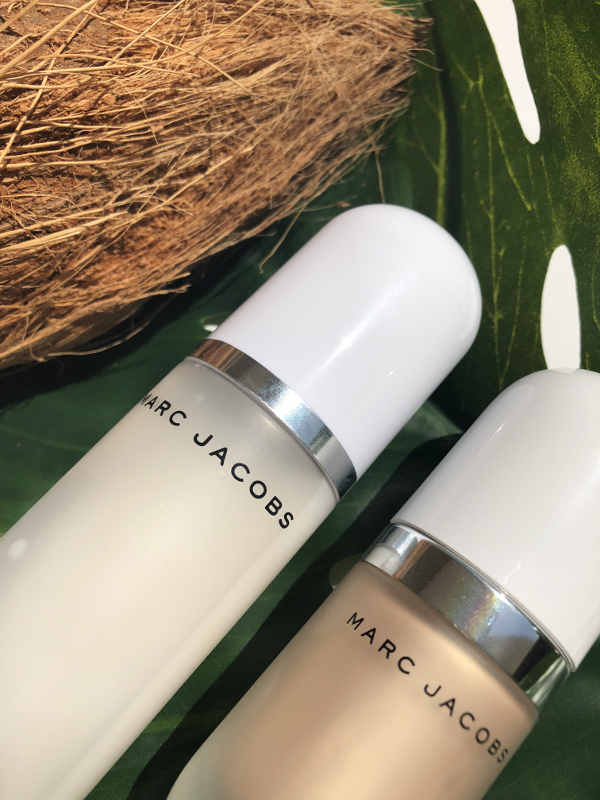 If you're like me and obsessed with all things coconut, I would highly recommend Marc Jacobs Coconut Glow collection - The sleek white packaging, delicious sunscreen scent and coconut infusion instantly transport you far away to a tropical paradise! 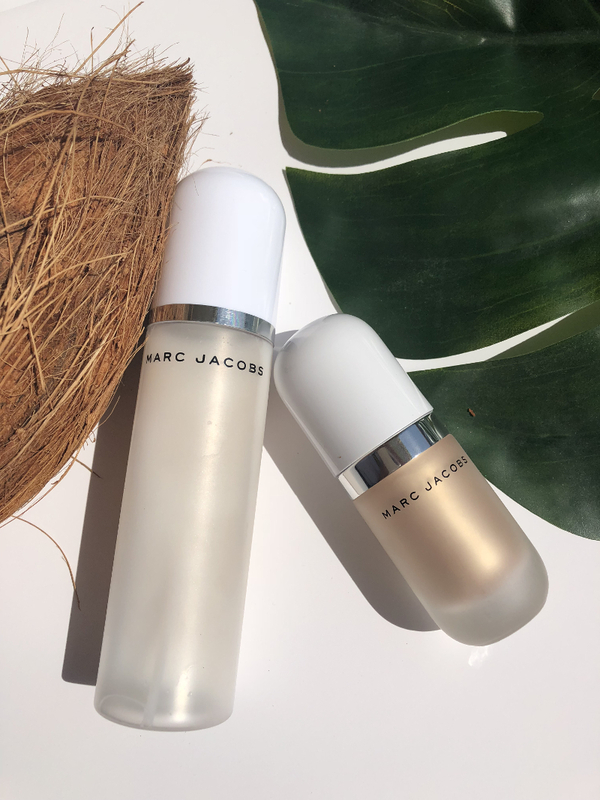 When I first caught a whiff (which is scrumptious) of the Perfecting Coconut range, I knew I had to add some more coconut goodness into my routine. Maybe she's born with it, maybe its COCONUT oil. This cream-gel highlighter is perfect for an all-over luminous glow, with its soft, creamy consistency. This formula blends out with no sticky residue and provides a healthy sunkissed glow. The colour of this highlighter at first glance looks quite one dimensional, but once you begin blending the dew drops into the skin, you're left with a fantastic warming golden sheen, which suits all skin tones. I'm naturally fair skinned with a slight golden hue(thanks to Dubai sun), and this colour is fabulous if used in moderation. 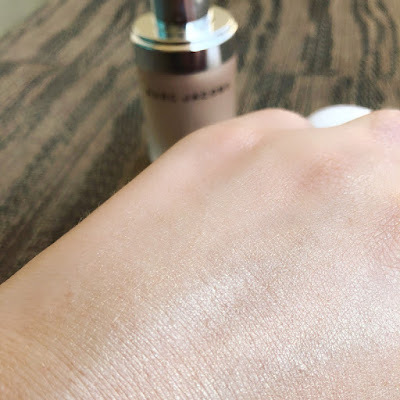 I tend to use the dew drops in two ways, one with my usual foundation (1 x drop Fenty and 1 x drop Giorgia Armani silk with 1 x droplet of the dew drops. Once my magical foundation concoction is applied, I get an instant natural luminescent glow; The other way is to use a damp beauty blender or brush with a tiny dew drop straight onto the standard highlighting areas. Both methods work exceptionally well, and you'll find that your makeup won't budge an inch even in the intense Dubai heat. This setting mist is a summer holiday in a bottle and if like me you dream of smothering yourself in coconut Perle de lait's, this is the setting spray for you! This spray is a triumph that makes all competition seem inferior. 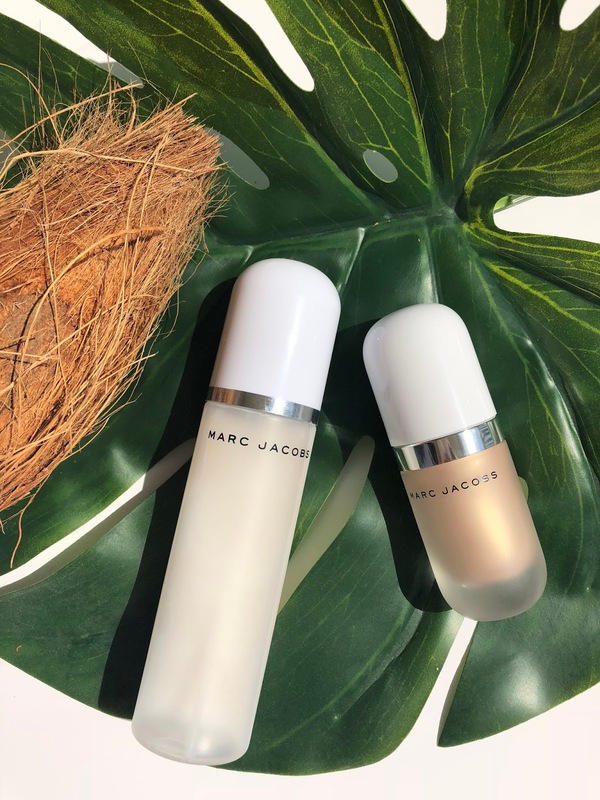 Reminiscent of coconut milk this micro-fine mist at first spray leaves a visible white residue all over the skin, but once dry the setting spray that not only helps achieve perfect dewy foundation but more importantly sets your hard work in place all through the day. 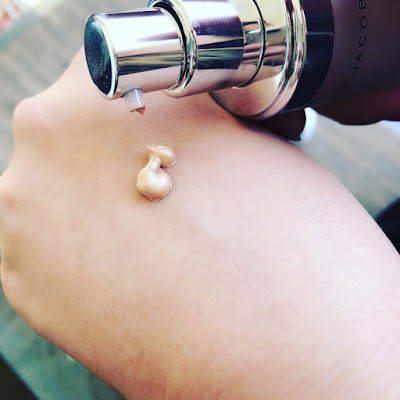 I spray about five long sprays onto my face by pushing nozzle all the way down you get an excellent light coating, rather than thick droplets all over the skin. This setting spray is jam-packed with skincare benefits and a multi-purpose piece of beauty kit. 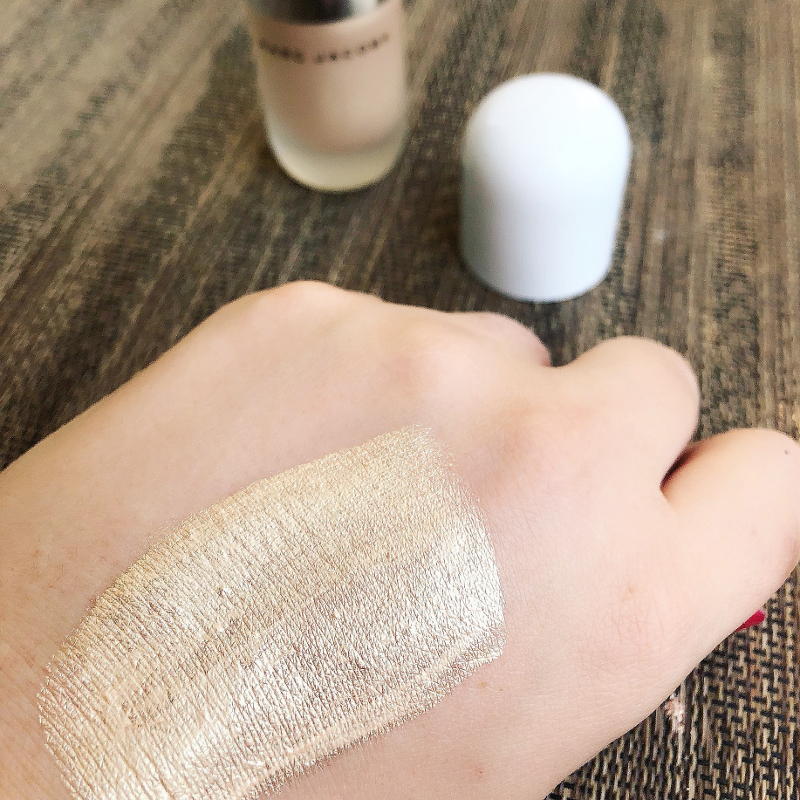 I like to incorporate the mist into my routine at as many stages in my makeup application as possible, so I prep as per usual with my Farsali Unicorn Essence and Fenty Pro Filt'r Instant Primer but before applying foundation, I spray a fine coating onto my skin. The spray locks in the moisture and provides a perfect base for my foundation, and when my morning makeup ritual is complete, I use the mist all over and stand in front of my fan for a few seconds to help the spray dry a little bit quicker. These two products are a match made in beauty heaven and help me achieve dewy perfection. Let me know your thoughts on the collection and what are you hoping Marc Jacobs will add to this series?